And of course- you will ONLY be CHARGED- IF you AGREE to play in the time and location that we text to you. Often these games are discounted since they are last minute- replacement spots for teams asking for a player - just to get to 5 or 6 players total. If you are unsure if we have your cell- send it to 5033804539. Regular league game with 2 referees. PicktoPlay team only runs with 6 players- so you get tons of playing time. PickToPlay players must purchase the official black/white PortlandBasketball jersey with number. If you need to buy one text us at 503 597 8819 and we will charge you 17.50 and you can then pick it up from the referees at the gym. The opponent is an average skill level team from the Wednesday League. Regular league game with 2 referees. PicktoPlay team only runs with 6 players- so you get tons of playing time. PickToPlay players must purchase the official black/white PortlandBasketball jersey with number. If you need to buy one text us at 503 597 8819 and we will charge you and you can then pick it up from the referees at the gym. The opponent is an average skill level team from the Wednesday League. The ZERO REFEREE game is call your own- but we jump it off to start- we keep score- just like a league game but with no referees. This program will be 6-players maximum to give you a ton of playing time. Note- if you cancel past Fri 7:30pm- you will be charged. Call your own fouls- No referees- so this means that only peaceful and recreational players are allowed in this program. Bring a black-white jersey with a number on it. If you need to buy one text us at 503 597 8819 and we will charge you 17.50 and you can then pick it up from the referees at the gym. Players in THIS type of game- please do not do the following- argue calls, make soft calls, play rough or play unsafe, display anger or frustration with opponent. Regular league game with 2 referees. PicktoPlay team only runs with 6 players- so you get tons of playing time. PickToPlay players must purchase the official black/white PortlandBasketball jersey with number. If you need to buy one text us at 503 597 8819 and we will charge you 17.50 and you can then pick it up from the referees at the gym. The opponent is Terence Burns All Starts- a C level team. Regular league game with 2 referees. PicktoPlay team only runs with 6 players- so you get tons of playing time. PickToPlay players must purchase the official black/white PortlandBasketball jersey with number. If you need to buy one text us at 503 597 8819 and we will charge you 17.50 and you can then pick it up from the referees at the gym. The opponent is an average skill level team from the Thursday League. You will ONLY be CHARGED- if you AGREE to play in the time that we text to you. If you are unsure if we have your cell- text it to 5033804539. The ZERO REFEREE game is call your own- but we jump it off to start- we keep score- just like a league game but with no referees. This program will be 6-players maximum to give you a ton of playing time. Note- if you cancel past Sat 7:30pm- you will be charged. Call your own fouls- No referees- so this means that only peaceful and recreational players are allowed in this program. Bring a black-white jersey with a number on it. If you need to buy one text us at 503 597 8819 and we will charge you 17.50 and you can then pick it up from the referees at the gym. Players in THIS type of game- please do not do the following- argue calls, make soft calls, play rough or play unsafe, display anger or frustration with opponent. Regular league game with 2 referees. PicktoPlay team only runs with 6 players- so you get tons of playing time. PickToPlay players must purchase the official black/white PortlandBasketball jersey with number. If you need to buy one text us at 503 597 8819 and we will charge you 17.50 and you can then pick it up from the referees at the gym. The opponent is an average skill level team from the Sunday League- opponent has 2 women and 5 men. And of course- you will ONLY be CHARGED- IF you AGREE to play in the time and location that we text to you. Often these games are discounted since they are last minute- replacement spots for teams asking for a player - just to get to 5 or 6 players total. If you are unsure if we have your cell- send it to 5033804539. Ignore the time listed here- this game could be anywhere between 645pm and 925pm. Regular league game with 2 referees. PicktoPlay team only runs with 6 players- so you get tons of playing time. PickToPlay players must purchase the official black/white PortlandBasketball jersey with number. If you need to buy one text us at 503 597 8819 and we will charge you 17.50 and you can then pick it up from the referees at the gym. The opponent is an average skill level team from the Monday League. All players in the Pick to Play program will be required to own a Blue-Black PortlandBasketball.com Pick to Play uniform. By signing up for a Pick to Play game you agree to abide by this policy. You can get these at your first game. In the small % chance that the referee does not have your size, bring a black shirt- any shirt- just in case thanks. To purchase: Jerseys are $20. Ask the referee at your Pick to Play game. The referee will hand you a jersey of your size preference and the referee will write down your name. Your credit card will be hit the following morning by the PortlandBasketball.com office. Why do I have to buy a jersey? Pick to Play players must follow the uniform rules just like the rest of the league. Should I buy a second jersey? If you play more than once a week we recommend that you pick up a second jersey. This will help reduce the amount of laundry you have to do. To help players who play more than once a week, a second jersey will only cost $15. Players who forget their jersey will have to purchase a new one. Each game might have a different price. No one can play without a debit or credit card payment (and that card - being in their own name). 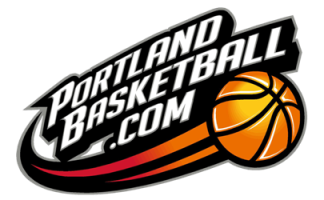 Why was the Pick-to-Play program created by PortlandBasketball.com? 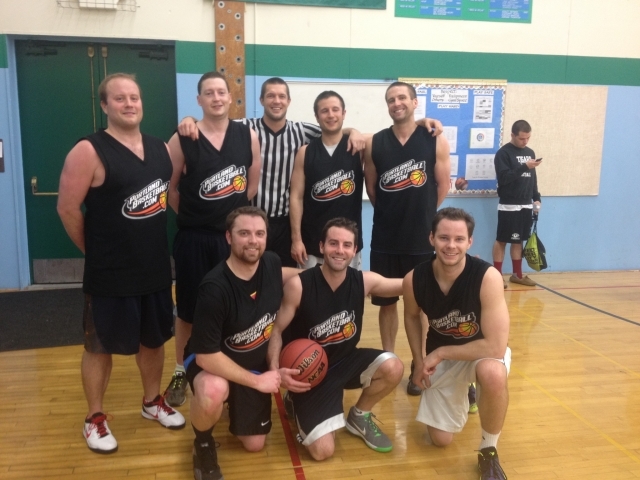 Pick to Play was created so that players who only have themselves or one or two buddies - can still play in our league. Pick to Play was created -also- so that league players (already on teams) going 1 time per week could jump in a 2nd run per week. And Pick-to-Play was created because owner Mikal Duilio now has 4 children and he had to find odd pockets of time to play. Many players due to work or family cannot be consistent- with the same team/time per week so Pick-to-Play works great for those players. How does Pick to Play work? How do I register- get signed up? Find a time that works for you from the above 7 days worth of options; submit your name in the game slot - and show up ready to play. The lead referee will provide uniforms, the lead referee is your team captain- and that lead referee will substitute players in and out of the game equally. BUT IF YOU ARE NEW TO THIS- your very first time- you have to text 503-597-8819 Jennifer- saying you want to register (I will text you back a one time registration process)... if you need to call, feel free to call but the text (that I send to you) works great in explaining this one time only registration process. Payment is by credit card or debit card only. You only pay for your first game, after that one time process, all other games are 'automatically' charged to your credit card, or debit card (you do not have to go in and pay each time, all you do for your 2nd game forward is simply get your name entered on the game slot of your choice. As for that first time payment, that one-time payment- you will pay on the main page of the PortlandBasketball.com website where it says 'Make Payment'; then once you have your payment information submitted, Jennifer Kadell will text you saying that indeed- you are registered/in and now you can sign up on your own for any game, any day you want (restated: you do not have to submit payment each time, rather, whatever you signed up for gets deducted from your credit/debit card every game night). Your credit/debit card numbers are secure as we use a service called Authorize.net. Once you are committed to a game, you will be charged unless you cancel with 4 hours (or more) of notice (text 503-597-8819 to cancel). A rule we have for players in terms of ball-hogging (which we do not see that often luckily)- is this one rule: you can dribble a lot OR you can shoot a lot...but where we draw the line is this- you cannot do BOTH (restated- you are not allowed to be both the extreme dribbler AND the extreme shooter). Restated yet one more time- with Pick-to-Play - if you dribble up the entire court, you will need to pass the ball to a shooter because it is not fun/normal/acceptable to both dribble the entire court AND end up being the same person to shoot the ball. Scenario: A player on your team takes a terrible shot; your response: we ask you to try not to drop your head and get frustrated- because that leads to 'not getting back on defense' (and that- will make the game worse)- so we ask that you hustle back on a bad shot and at least you will get a workout (running hard- getting a cardio- is why we are here). What we try to do as a league : 1) our lead referee is the team captain who will make an effort to help 'coach' in these scenarios. 2) our referees will text in problem players to us- so we will be on this situation, your role is to maybe say nothing or limit yourself to saying one thing to the player or lead referee but move on to 'getting your cardio'. This type of player usually stops playing like this naturally or within a short time and if not, we will figure it out. 3) You can always text us after the game as well so we are aware of the situation. If we hear the same thing about the same player, we will usually talk to them, its usually an easy fix (see our rule about how players can dribble a lot... or shoot a lot but players in PicktoPlay are not allowed to do both, strangely enough, that rule when communicated, cleans up most irritating play. Why should you play 'Pick to Play'? If you are by yourself - and/or if its just you and a buddy, you can sign up and play - same day- even tonight! What is the quality of the Pick-to-Play games? The actual basketball court, uniforms and the playing time are all A plus. 80% of games go great, 20% go average (you will at least get a solid cardio and a full body workout- that is your worse case if you hustle up and down the court). If you had your own team the % of good games often is more like 90% so Pick-to-Play is not as good as having your own official team but - its pretty close. Most players choose Pick-to-Play because their commitment is 1-game at a time and they can play any day- 360 days per year; players can grab a buddy and play, play alone- some players grab 2-3-4 players and over time meet new players, try out new friends/players as they 'use' Pick-to-Play to build a real team. Use Pick-to-Play however you need Pick-to-Play. Think of it as 'on-demand' basketball games for individuals. Players- Update your cell phone # with us- we only notify you of changes by text; any questions at all- on any topic- text Mikal Duilio at 503-380-4539.